As Thanksgiving approaches, I am certainly thankful for Durham and its community. In that spirit, I have a favor to ask. I need your help because I want to create a map of all the places in Durham that are simply put, awesome. What's the best view of the skyline? What's the best dessert that nobody knows about? What hidden piece of history do people walk right by? These are the Durham Gems and whether or not they are "hidden" gems, they still make people happy. These are the gems that we can be thankful for! I decided to do this after seeing this thread on the Bull City subreddit. I thought a more permanent and ongoing collection of interesting places would be fantastic. Selfishly, I want to learn about new places that I haven't experienced yet. I figured other Durhamites might want the same. It also ties into answering the question: what is Durham's identity? 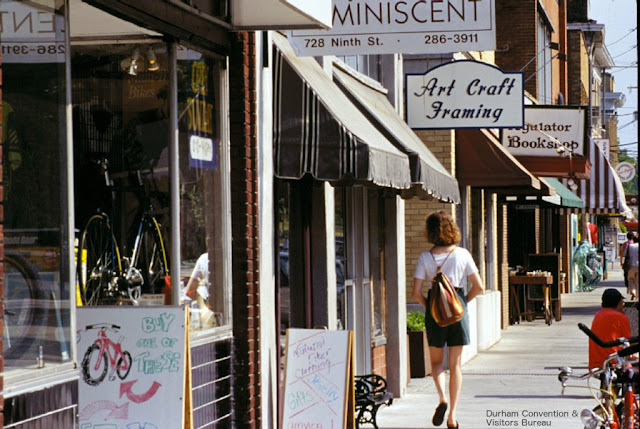 Sure, these are small points of interest and don't capture what it means to live, work, and visit this city, but as a collection, it might be able to show what we are proud of and the little things that make Durham special. Recently, there was an article in the New York Times about The Unbearable Sameness of Cities. I'm sure every city likes to think that they are somehow different. I like to think that Durham is different as well. 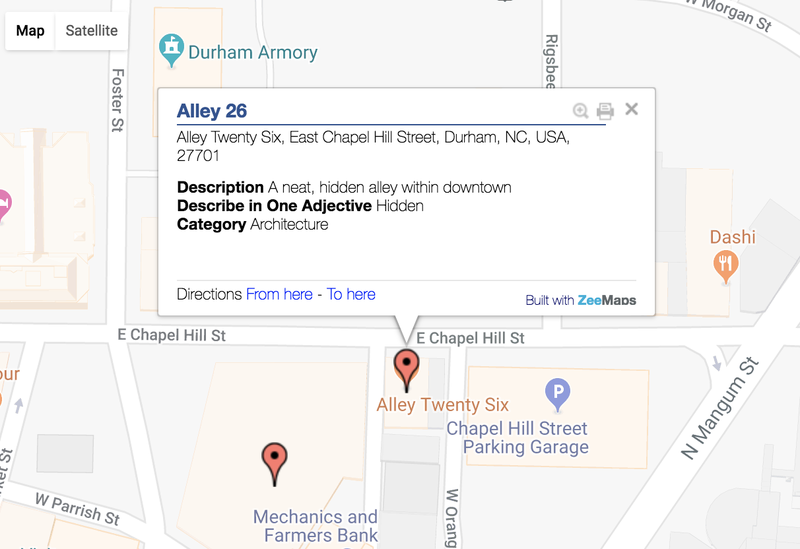 By contributing to this map, you might help tell the story of how Durham is different. Or maybe it's just a cool list of great places to check out around the Bull City. Your submission won't appear immediately on the map. It may take a couple of hours or up to a day. Don't worry, it will update eventually! If it takes longer than that, feel free to reach out to me. PLEASE provide feedback. This is a trial so if something is not working properly or you think of a category that should be included, send me an email! This is definitely an experiment, so I appreciate your help in building out this resource! Woops, I didn't read the instructions completely. I submitted the Museum of Life and Science because I didn't realize you were asking for "hidden" places. Feel free to ignore my submission. No no - hidden gems are great, but just regular, in plain sight gems are great as well.